Don't be afraid to go BOLD with your details! Bold colors make a statement and really liven the place up! There is something so delicious about pink and orange! 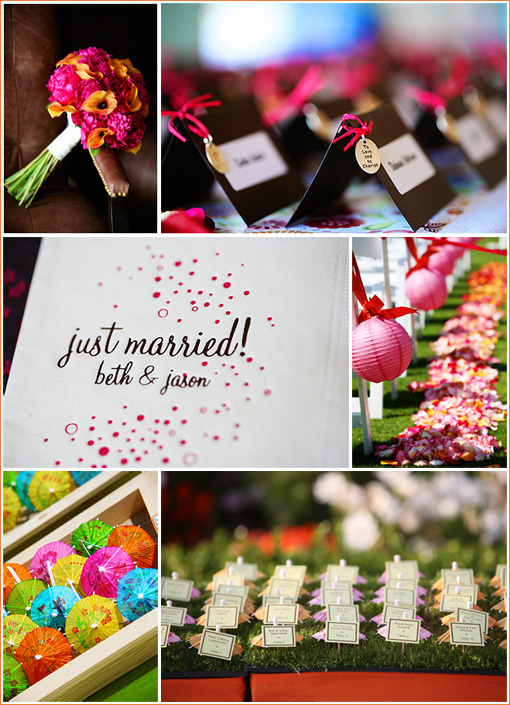 So make your wedding stand out with some courageous colors!